Zing! 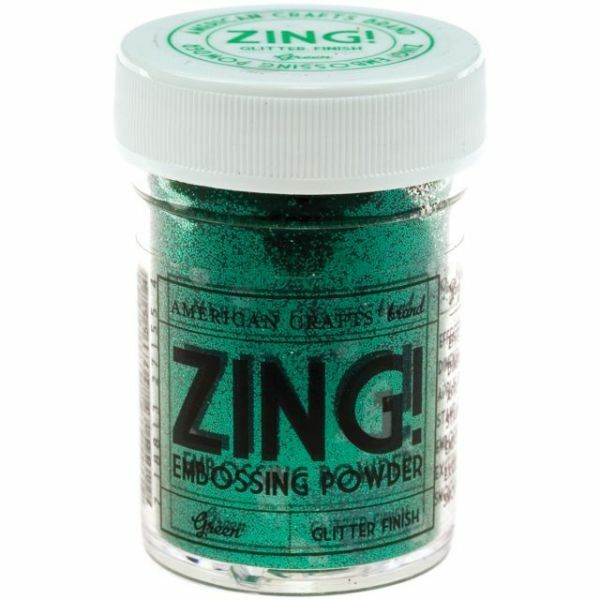 Glitter Embossing Powder 1oz - AMERICAN CRAFTS-Zing! Embossing Powder. Embossing powder is effective for adding color and dimension to you paper craft projects. Zing isn't ordinary embossing powder, it's the most even, opaque and vivid embossing powder available! It's amaZing! Easily apply powder to any image, heat and watch as it takes on a beautiful raised effect. 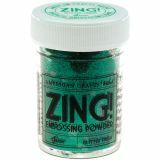 Zing embossing powder adds dimension to your stamp collection. The options are endless with a variety of colors and four unique finishes: opaque, glitter, metallic and fluorescent. Each color comes in a 1oz/28.35g jar. Made in USA.